All the numbers you need to build a direct distribution channel that works. 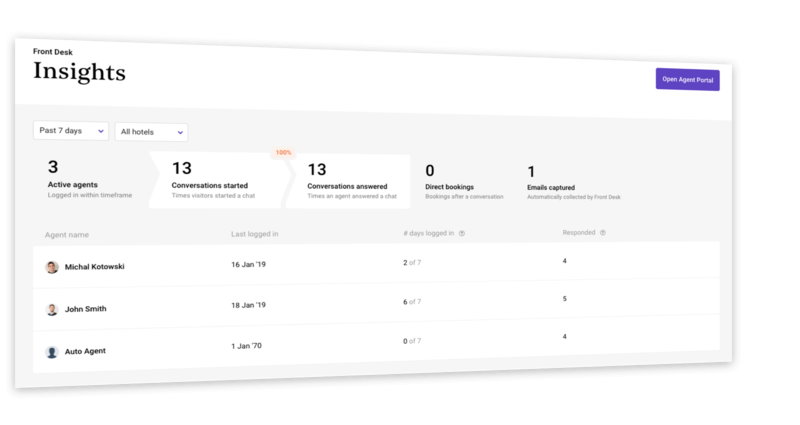 Get complete visibility on your performance and learn from every interaction to make your data just as powerful as an OTA's. 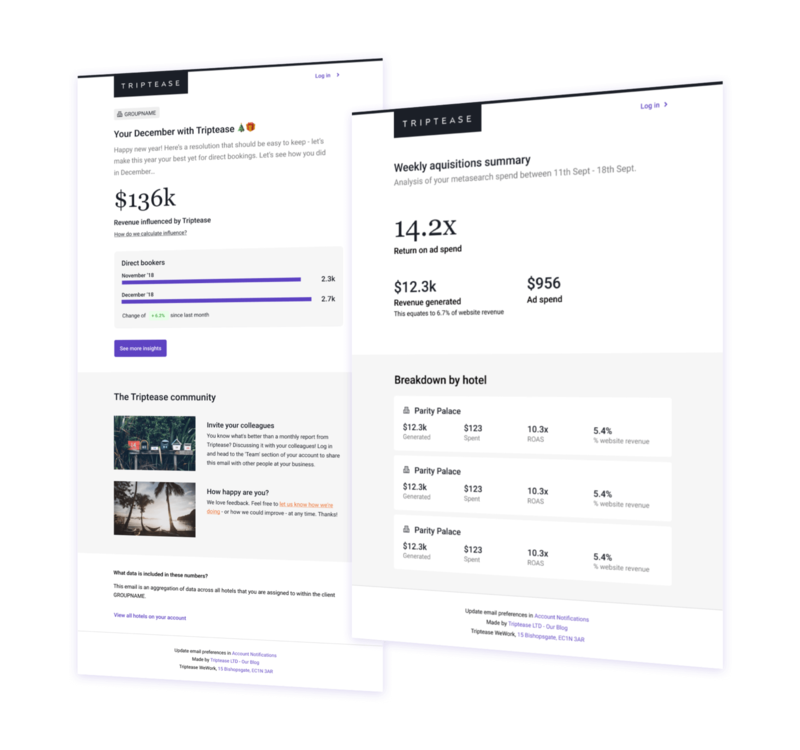 One simple, quick view dashboard with everything you need to know about your Direct Bookers and website visitors. Easily check your conversion funnel and see a clear picture of direct booking trends over time. 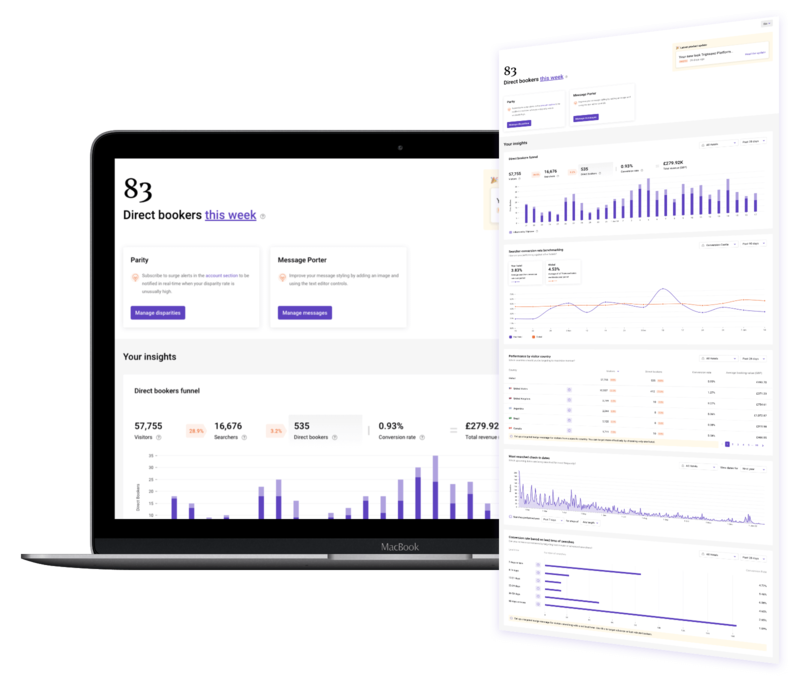 Monitor a live feed of every search on your website that’s being undercut by an OTA, along with an interactive dashboard showing your parity trends over time. 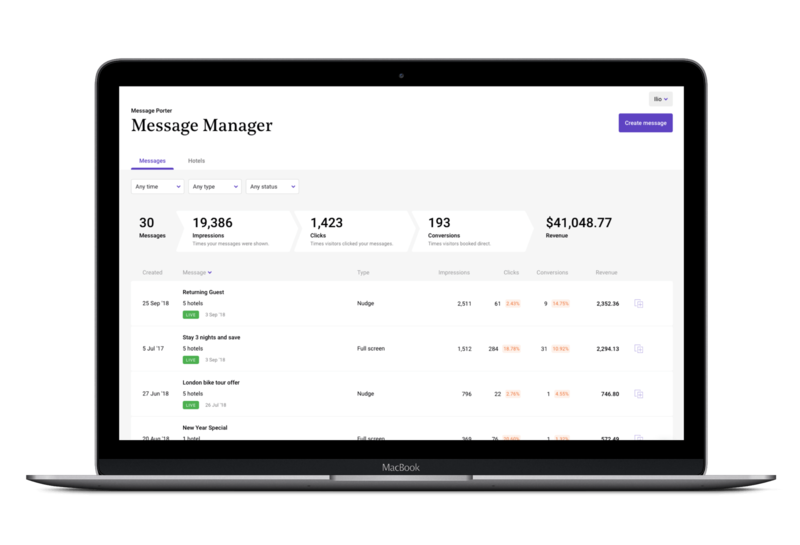 Check impressions, clicks, conversions and revenue instantly for all hotels and messages. If your reservations staff are speaking to customers via the live chat tool (they don’t have to - you can automate it) view their conversations, email captures and direct bookings. 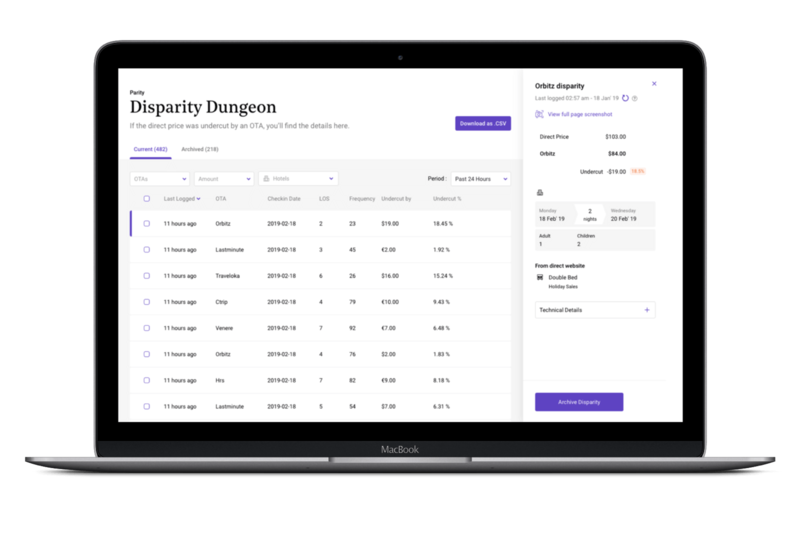 Stay on top of your numbers with performance reports, plus daily or weekly parity reports and a round up of leads generated via live (or automated) chat.